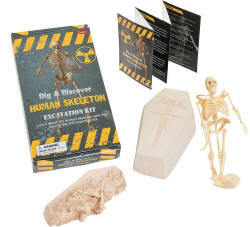 Dig & Discover Human Skeleton Excavation Kit. 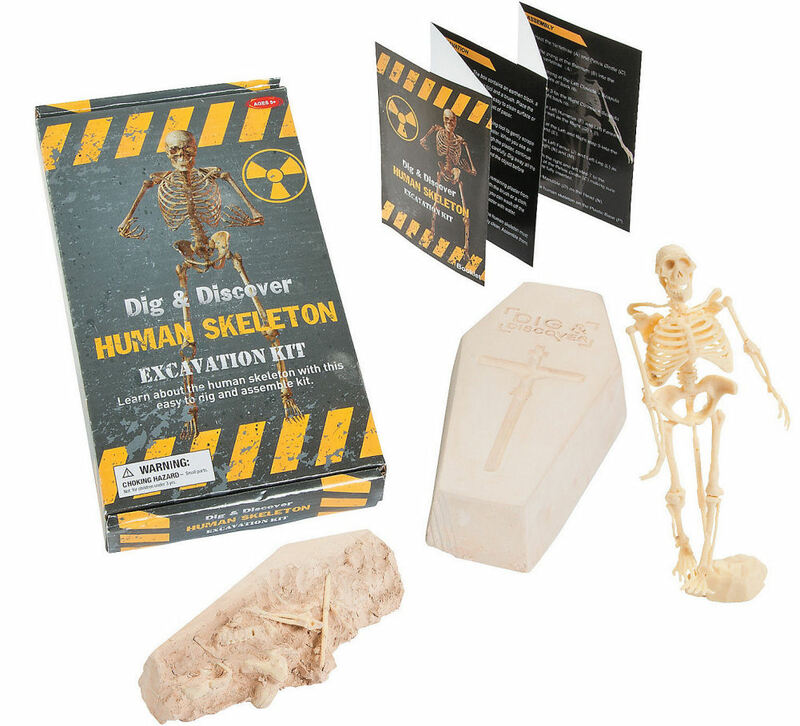 Each kit includes a plastic skeleton in an earthen block (approx 3" x 1 1/4" x 6), single page assembly instructions, a brush and a digging tool in retail box. 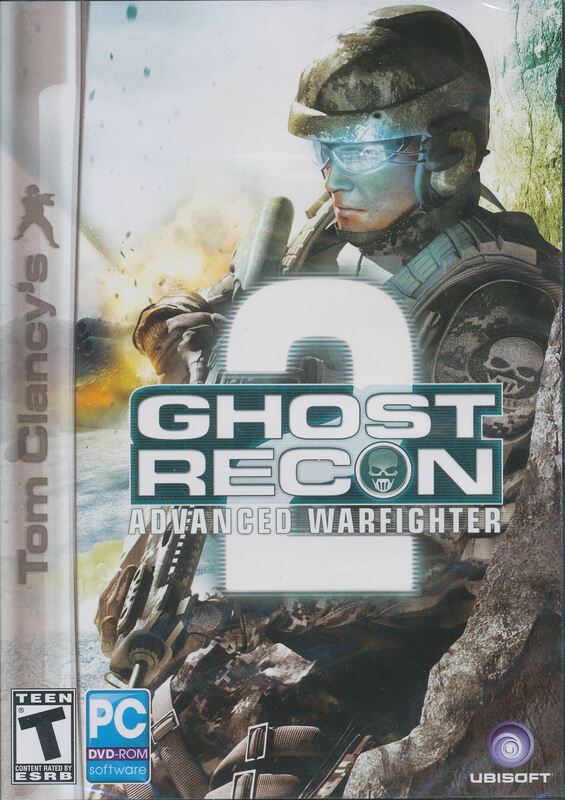 Intended for ages 8+. Not for children under 3.